Hyperinflaton of both lung wings, increased transparency, especially in the right upper lobe with rarefied vascular markings. 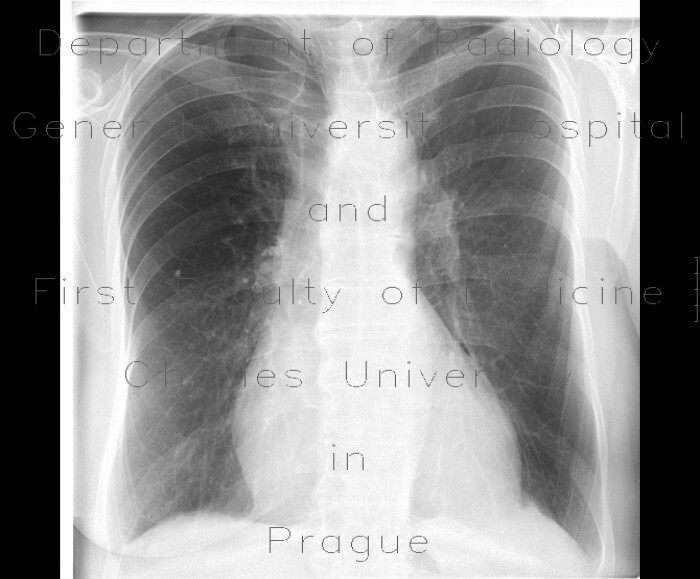 Postspecific calcification in the right middle lung field. Pleural adhesion of the left hemidiaphragm.